We are pleased to be marketing this high-end HMO (house of multiple occupation) investment located in a central RG1 location within Reading Town Centre. 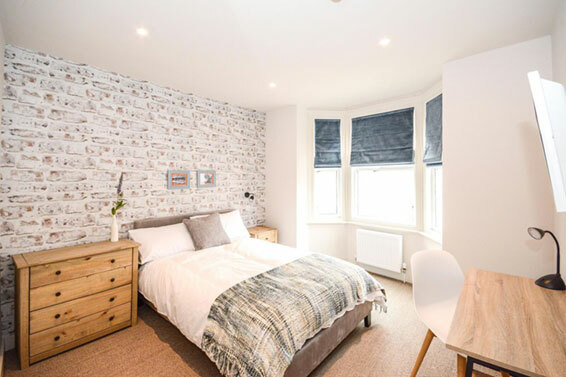 Over the last six months our building contractors, Whitehouse Young Ltd, have been converting a tired Victorian terrace into a modern and well equipped six-bedroom HMO. All six rooms were let within a week of being released on the market due to their high standard of finish and location within a short walking distance of the Oracle Shopping Centre and Readingâs mainline station. The property generates a gross annual income of £48,720 and we are looking to sell the property for £675,000 equating to an attractive yield of 7.2%. Please contact Tim Young for further information.